Maria Sharapova has had more injury concerns as she withdraws from this week’s tournament in St. Petersburg due to a shoulder injury. Five time grand slam champion Maria Sharapova has received yet another injury blow as she has withdrawn from St. Petersburg due to a shoulder injury. 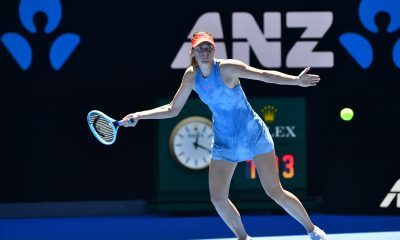 The Russian thought she had hit a turning point in her comeback from a drugs ban after reaching the fourth round at the Australian Open earlier this month. In the run in Melbourne she defeated defending champion Caroline Wozniacki in a high-quality match before being knocked out by Ashleigh Barty. Despite the defeat it was an impressive run and a performance that she was looking to build on in St. Petersburg this week. However in a summary of Sharapova’s comeback from 15 month drugs ban it’s one step forwards and two steps backwards. This is as Sharapova withdrew from her second round match with compatriot Daria Kasatkina due to shoulder injury. It’s a problem that has continued to haunt her for a while and unfortunately for her has hindered her chances of playing more matches. 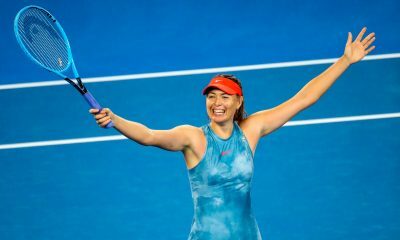 The injury comes after Sharapova won her first match on Russian soil for 13 years on Monday when she defeated Daria Gavrilova 6-0 6-4 in under two hours. Hopefully for the 31 year-old it isn’t something that serious as she will look to test herself out in Indian Wells in just over a month’s time. As for Sharapova’s scheduled opponent, Daria Kasatkina, she will now have a walkover into the quarter-finals where Vera Zvonareva or Julia Goerges will await.